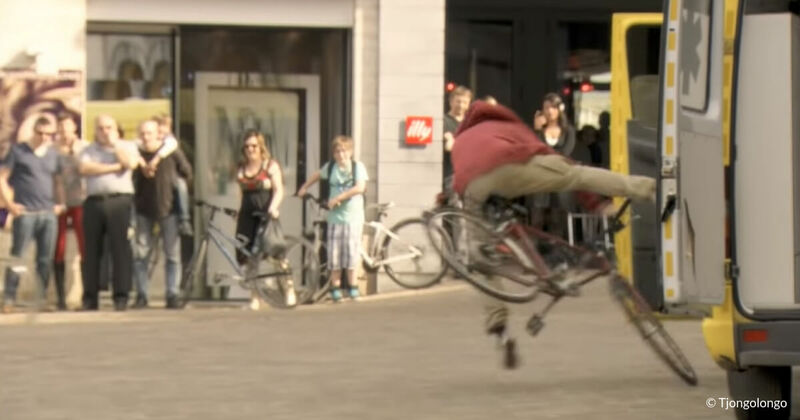 Video – ¿¡ tjongolongo ?! A video of the “Twitter Movie Trailer” has gone viral lately. The trailer tells the story of Twitter co-founders Jack Dorsey, Ev Williams and Biz Stone. The video is actually a parody of the upcoming Facebook movie. After the movie was announced many parodies popped up and this one is definitely one of my favorites. Cisco tried to cash in on the viral succes the Old Spice Guy campaign had lately. Instead of using a hot guy they used dorky Ted from Accounting. According to Doug Webster of the Cisco Service Provider Marketing Team, they were so ‘so impressed with Old Spice’s social media project’ they thought it would be a great way to show the ‘awesome power ‘ of one of their routers. I like the sarcasm in the video, but still the entire campaign just didn’t do it for me. A long staircase or a slide, which would you choose? 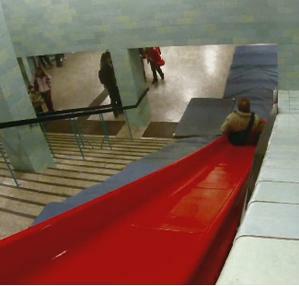 Commuters in a Berlin subway had a choice between a staircase or a slide. This is another fun project by the inspiring people of funtheory.com. After the Worlds Deepest Bin, the Piano Staircase and the Bottle Bank Arcade Machine they have made commuting more fun. They have put up a huge red slide next to the escalators of the Alexanderplatz station. Read moreA long staircase or a slide, which would you choose? This week I’ll be posting two of my tjongolongo posts again. As I said in my previous post about my new website I will be changing around things content wise, which means, more serious posts, but I will not be stopping with my tjongolongo posts. I have even created a separate page for some of the videos that I come across that make me go tjongolongo?! For the last two weeks I had a video on there about a kid dancing to low. Now I’ve got a video about the US army boys in Afghanistan doing a remake of Lady Gaga’s Telephone song. Their remake made me go tjongolongo? !